Classic and stylish. 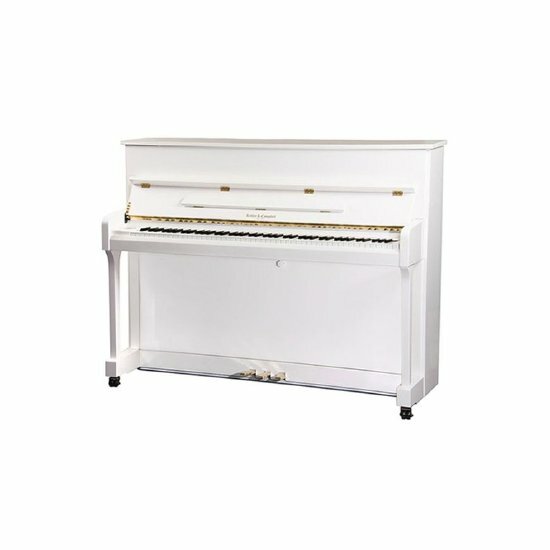 This compact and classic piano is an excellent choice for both home and studio. Suitable for most piano students or those who play piano as a hobby. With German Roslau(TM) strings 100% German premium wool for its hammers and felt and sand casting iron plate you know you are getting the very best. Put together this piano produces a beautifully balanced clear sound. Clarity for the ears. 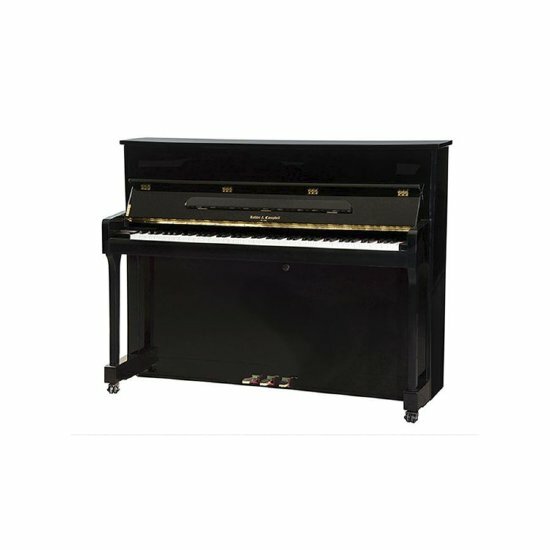 Additionally this piano comes with an integrated slow closing fallboard which prevents any finger injuries. This model is not only available in a range of colours but a range of design as well. Available in Ebony polish Walnut polish Mahogany polish Walnut satin and White high polish. Available in modern style straight legs traditional fancy curved style legs and wooden inlay design.